Fun for all the family. You can see cranky crocodiles, walk with a giant Galapagos tortoise, watch Funnel Web spiders being milked for their venom or enjoy the entertaining snake and wildlife shows. Walk through displays like the nocturnal house, bird aviary, alligator lagoon, frog hollow and platypus house are fun and educational. 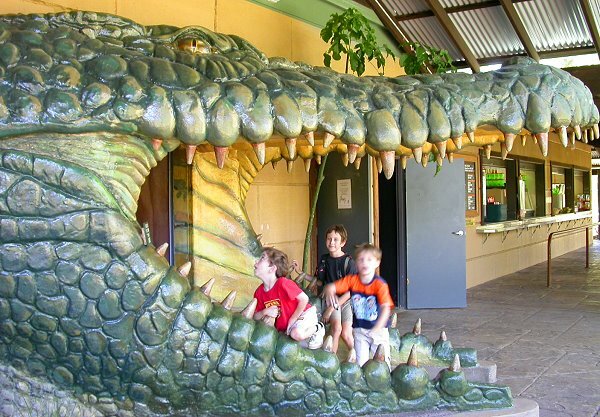 The giant life-like statues of crocodiles, lizards and spiders are always a hit with the kids. 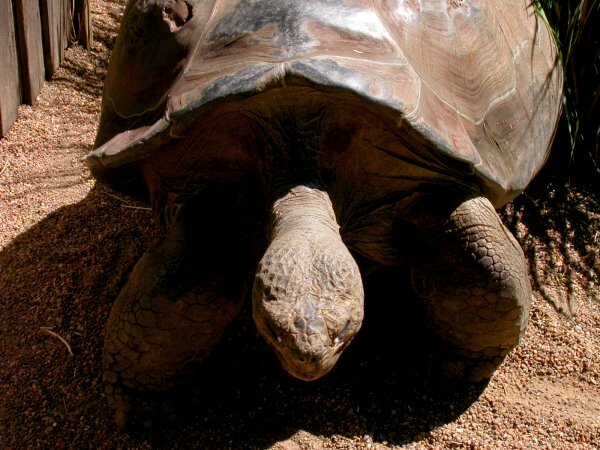 You can get some great photos as you handfeed the kangaroos or wander amongst the tortoises. 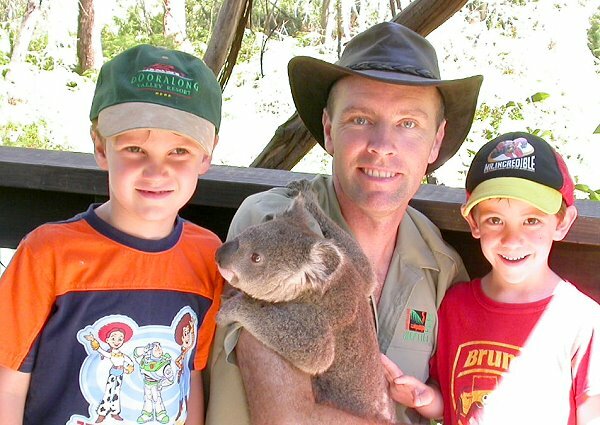 If you would like a close up photo with a koala, alligator or python, then head over to the Show Pit at set times during the day. 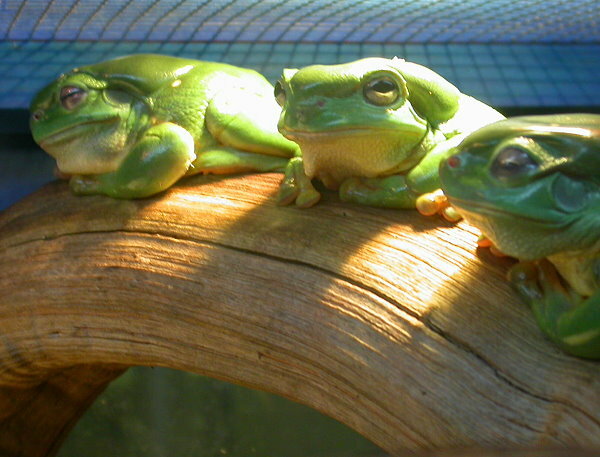 The Reptile Park has an on site café plus free BBQs, playground and undercover picnic areas to relax in.